Overstock Tiles at a discount. Description - Our Premium Ribbed Carpet Tiles are an upgraded version of our most popular carpet tile, Ribbed Carpet Tiles. These floor tiles feature a peel and stick backing and are just as easy to install as the standard version. These modular tiles are more dense and larger, making them great for large commercial areas. 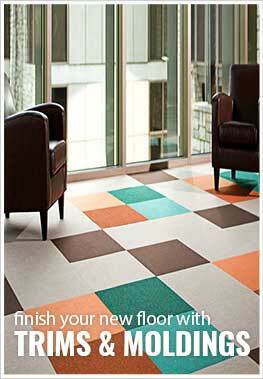 These carpet tile squares are mold and mildew resistant and are resistant to soiling, staining and wear. Backed by a 5 year warranty, these carpet tiles are the perfect alternative to standard carpet. Recommended Uses - Premium Ribbed Carpet Tiles are the perfect alternative to standard carpet and are great as flooring in home offices, as basement flooring, in living rooms, as family room flooring, in bedrooms, in spare rooms, as office flooring, in garages, as small business flooring and much more. These tiles were so easy to lay/install and my porch now looks amazing! These carpet tiles were exactly what I was looking for. Very pleased with simplicity of installation and the overall appearance.